Hark back to the 90’s where the likes of Maxwell, Rahsaan Patterson, Erykah Badu and Mary J Blige amongst others were championing the Soul genre. With smooth, sensual vibes perfect for sipping wine by the fireside, it’s a sound that seems to be dwindling with time. Dwindling that was, until Luca Dimoon – an Italian Divo – set upon keeping the kindling genre burning and bringing it back to life in a blaze! Hot off the stage, Luca Dimoon took time out to talk with Musicvein about his influences, style and new album to be released in 2012. Being artistic in nature, Luca studied Fine Art in Milan and London before cosmic forces pulled him towards the music world. Performing professionally since the age of 19, Luca says that it was his father’s collection of Motown and Blue Note records that got him hooked on music at a very early age. But aside from his father being the greatest influence, Luca also credits the works of musicians such as Miles Davis, John Coltrane, Bill Evans, Donny Hathaway, Rachelle Ferrell, Daryl Coley and Lawerence Davis (Harlem Gospel Choir) for their influence on his musical journey and the shaping of his sound. 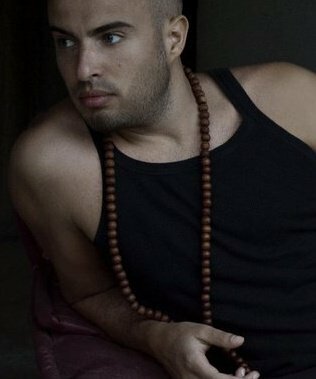 Now the accomplished Singer, Songwriter, Composer and Producer Luca describes his sound as “a fusion of Cosmic Soul, Cyber Funk and Dirty Jazz, I paint lyrics with sound to amplify their meaning” he says and you only have to listen to his single ‘Twilight’ to understand the meaning behind this statement. ‘Telescope’ his second album planned for release this year will include Luca’s fantastic remake of the Stylistics hit ‘People Make The World Go Round’ and although he hasn’t set an official release date, he does have a suprise for his fans “I might release a bonus track that will not be included on the album” he smiles but for that you have to stay tuned to his twitter updates for more information, and if that wasn’t enough Luca also plans to make available his first album ‘On Different Mood’ on iTunes very soon. All in all I just wish 2012 to bring New Dreams, more Peace, Light, Love and Hope to all. Luca is a fantastic singer. His music is smooth and inviting. Can’t wait for his up coming album. My favorite song of his is Twilight. Love it, love it. Check him out. I absolutely agree with you Debra and looking forward to his album too. My fave song of his is Hostage and No Lyrics. Can’t wait to see him live. The World needs to know about Luca Dimoon!